Xiaomi’s Redmi Note lineup has always been popular for bringing powerful specs to the table at affordable prices. The Redmi Note 6 Pro is the latest addition in the series and comes with some interesting capabilities. Take over the baton from the popular Redmi Note 5 Pro, the successor might not seem like that big of an upgrade, but we reckon it’s still a worthy handset. Wondering why we think so? Read on to find out not one, not two, but six impressive features of the Xiaomi Redmi Note 6 Pro. Yes, even with a bigger display, the Note 6 Pro has the same footprint as the Note 5 Pro, making it pocketable. Furthermore, the Redmi Note 6 Pro is the first smartphone in the lineup that gets the P2i coating, which will protect it from minor splashes and light rain. The phone’s display also gets a protective layer of Gorilla Glass. It’s also good to see Xiaomi continuing to offer the IR blaster with its smartphones. With the in-built Mi Remote app, the Note 6 Pro allows you to control your TV, Camera, lights, fans, and AC, among other home appliances. Compared to its predecessor, the Xiaomi Redmi Note 6 Pro has received a major overhaul as you get four cameras in total. In terms of specs, the latest smartphone a pair of 12MP + 5MP snappers on the back. While the setup might seem similar to the Note 5 Pro, the primary sensor features a wider aperture of f/1.9 along with a bigger sensor size of 1.4μm. The fascia gets a 20MP f/2.0 shooter and a 2MP depth sensor for better portrait selfies. The front camera is also equipped with AI capabilities to automatically adjust settings to different lighting conditions and scenes. The hardware on the Redmi Note 6 Pro has remained pretty much the same as its previous avatar. 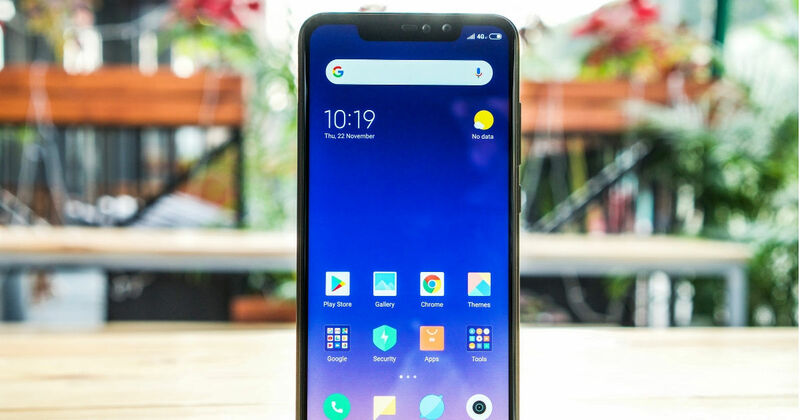 The device is powered by the Snapdragon 636 chipset. The octa-core chip is clocked at 1.8GHz and ships with Adreno 509 Graphics Processing Unit. The smartphone comes in two variants of 4GB RAM and 6GB RAM, both of which offer 64GB storage. The Note 6 Pro ships with Android 8.0 Oreo out of the box with MIUI 10 running on top. The custom interface is loaded with options, and you get features like gesture controls instead of virtual buttons. There’s also added Game Booster mode which is helpful in enhancing your gaming experience. The company is also working on Android Pie update, but hasn’t released an official date for its rollout as of now. The battery life has never been a concern for the Redmi Note lineup and it’s no different with the Note 6 Pro. The device gets a powerful 4,000mAh cell. Sadly, even though the device supports Quick Charge 3.0, it doesn’t ship with a fast charger. The Xiaomi Redmi Note 5 Pro’s price starts at Rs 13,999, and it’ll be available to buy from Flipkart and Mi.com initially. The smartphone will be available to buy through Xiaomi’s offline stores as well at a later date.